Has Oakland Killed Community Policing? 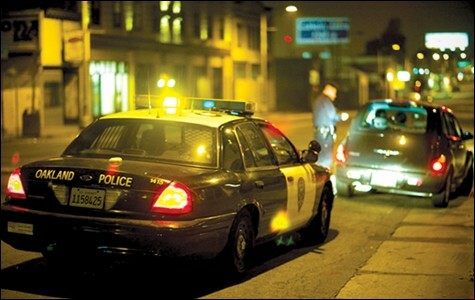 The Oakland Police Department has slashed the number of neighborhood beats by nearly 40 percent. Critics say OPD's new community policing plan undercuts the purpose of Measures Y and BB. 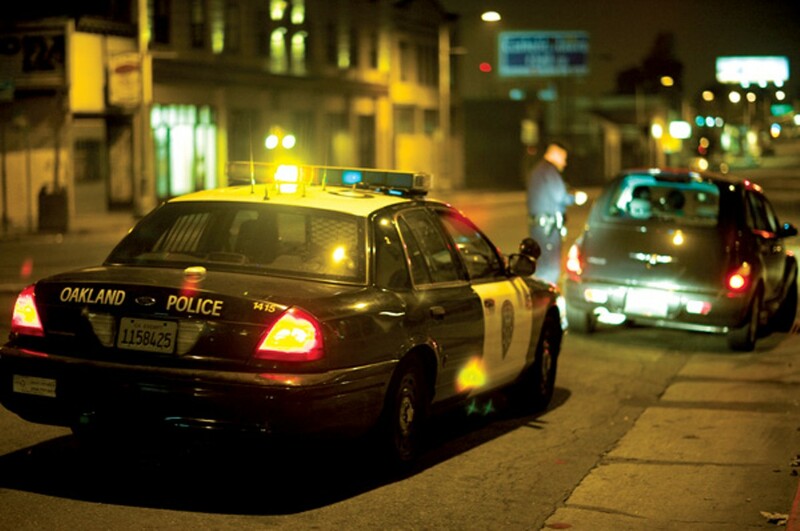 For less than two years, Oakland lived up to its years-long vision for community policing. From late-2008 until the summer of 2010, the city had a so-called "problem-solving officer" for each of its 57 neighborhood police beats. The program then went on hiatus last year after the city laid off eighty cops amid a budget crisis. It was supposed to restart in the beginning of this year after voters approved Measure BB in November. But the Oakland Police Department has decided to unilaterally change its community policing deployment, and, some say, seriously dilute it in parts of the city. During the last few weeks, OPD officials have presented to the Oakland City Council the department's new realignment program, which reduces the city's community policing beats from 57 to 35. The beats continue to cover the entire city and the realignment does not reduce the number of problem-solving officers deployed, which remain at 57. But the new program concentrates the officers in several high-crime, high-violence "hot spots" of the city, doubling up on community policing officers in 21 of the 35 beats. At the same time, the new deployment has some officers covering more than one beat in the city's lower-crime districts. From the start, Oakland's problem-solving officers were intended to be a direct community liaison between residents and the police department. City voters originally authorized this vision for community policing in the landmark 2004 violence prevention ballot initiative Measure Y. However, under OPD's new program, the link that some areas of the city will have with the department will no longer be as strong as what the measure envisioned. For example, community police beats 13X, 13Y, and 13Z, a large area encompassing the northern Oakland hills above Moraga Avenue, is now one beat — 13 — with one community policing officer, where formerly there were three. By contrast, community policing beat 2, in the heart of West Oakland, has two problem-solving officers under the new configuration. Having one problem-solving officer in each of the city's 57 community policing beats was one of the major selling points in Measure Y and Measure BB, the so-called "Measure Y fix." But OPD gave no hint of its decision to slash the number of neighborhood beats by nearly 40 percent until late January, when the problem-solving officers began coming back on line. OPD officials say that following the city budget crisis of 2010, Police Chief Anthony Batts decided that the department no longer had the support personnel to justify 57 community policing beats, and therefore decided to lower the number of them to match the department's traditional 35 patrol beats. OPD also argues that neither Measure Y nor BB specifies the number of community policing beats, so the chief has the authority to reduce them. But OPD's interpretation of the law brought an immediate rebuttal from the Measure Y Oversight Committee, the citizens group set up in the original 2004 ballot measure. The committee issued a written response to the council, stating in part that, "the larger geographic area will undoubtedly reduce neighborhood access to the problem-solving officer and diminish officer performance accountability." Nonetheless, the City Attorney's Office told the council that OPD had the power to unilaterally alter the community policing boundaries and their number without council approval. But not everyone agrees with that analysis. Former Oakland Community Policing Advisory Board chair Don Link, a presenter at OPD's most recent training session for community policing officers, said that a 1996 city council resolution (72727) set the number of community policing beats at 57, and only the council can amend it. "That legislation is still on the books," Link said. "It's never been changed." While Link said that "it's great to have [the community policing officers] back on the beat," he questioned the timing of the release of the new deployment alignment — two months after voters passed Measure BB. Link said it has "always been the assumption," from the passage of the original Measure Y through the passage of Measure BB, that there would be 57 community policing beats with one officer assigned to each. Asked if voters would have approved Measure BB if they had known about Batts' plan, Link said, flatly, "No. That would have been very questionable and unpopular. That would have had many of the people who enthusiastically backed BB heading for the hills, saying, 'It's another bait-and-switch.'" Oakland attorney Dan Siegel, who has been active on police-community issues in the city for many years, disagrees with Link on the election outcome. He believes that voters still would have passed Measure BB had they known about Batts' plan. But Siegel added that the redeployment will "definitely have a negative impact on the city's community policing strategy," noting that Oakland's 35 patrol beats do not conform to the contiguous, common-interest-neighborhood lines that he says are necessary for citizens to coalesce and organize around public safety issues in their individual communities. "As much as I hate to say it, at a certain point, if you're not going to do community policing right, maybe it's best not to do it at all," he said. Siegel has been serving as an unpaid legal advisor to Oakland Mayor Jean Quan on various city issues since her election last November. Siegel was not speaking for the mayor's position on Batts' plan, and Quan was not available for comment for this story. OPD's argument that it had to reduce the number of community policing beats in part because of budget cuts to "support staff" also raises questions. The department's report to the council, for example, failed to point out how 57 community policing officers under the new alignment plan would require fewer support staff than the same number of officers operating under the original plan. In an interview, OPD spokeswoman Holly Joshi said the main reason for the beat reduction and doubling-up plan was that OPD command staff felt it was a better way to fight violent crime in the city, and the OPD report notes that combining "problem-oriented policing" with "intelligence-led hot-spot policing appears to be the ... best method to achieve long-term sustainable solutions to crime, the fear of crime, and quality-of-life issues within the City of Oakland." Deputy OPD Chief Eric Breshears amplified that in his remarks to the council Public Safety Committee in early March, saying, "In my mind, the beats that have the highest stress and highest violence — which is really what Measure Y was about — deserve to have officers that are problem-solving in those areas." But some community policing supporters view that argument as a misunderstanding or misrepresentation of the purpose of Measures Y and BB. "Measure Y was not solely a 'violence reduction measure,'" Public Safety Committee Chair Pat Kernighan told Breshears. Kernighan explained that while one portion of the measure was specifically targeted toward violence reduction, the drafters of the measure, including her council predecessor, Danny Wan, "wanted a neighborhood beat cop in every neighborhood, even if it wasn't a dangerous neighborhood. The idea was, everybody deserves to have a police officer that they can reach and get some service from." But unless Quan intervenes, or the council decides that Batts' plan needs its approval, or the courts weigh in, Oakland's vision of a community policing beat cop in every neighborhood is over — at least until the city hires many more police officers.